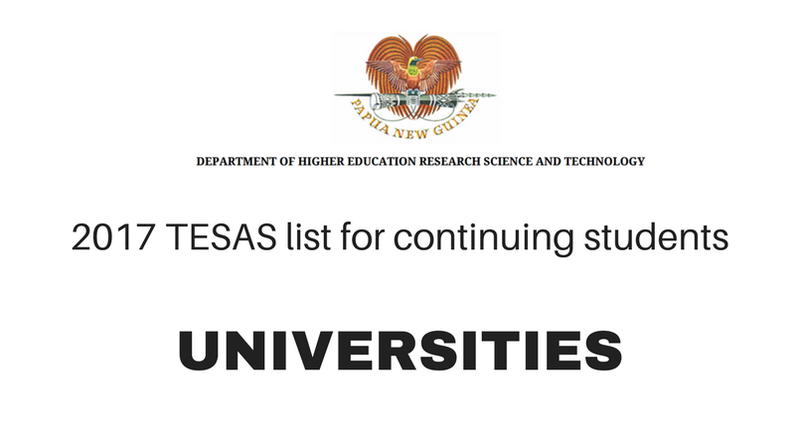 ​The Department of Higher Education has published the TESAS (Tertiary Education Students Assistance Scheme) scholarship lists online for continuing students. Students, parents, guardians and sponsors can access the list on the link below. Note: We do not represent the University and all queries regarding errors and omissions on the listing should refer to the University or the college.